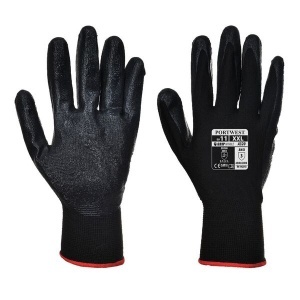 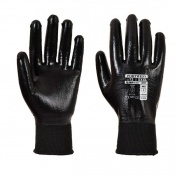 Designed for precise operations that demand maximum dexterity, the Portwest Dexti-Grip Nitrile Foam Black Gloves A320BK use a grippy nitrile foam coating that makes the gloves ideal for applications such as assembly, maintenance and materials handling. 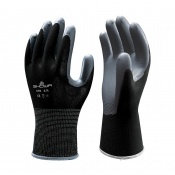 They are designed for comfort, ergonomically constructed with a breathable, seamless, pylon liner that offers maximum comfort and fits so close it feels like a second skin. 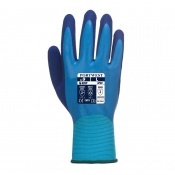 The Portwest Dexti-Grip Gloves fit close and comfortably, ensuring that the user has total control when handling slippery or tactile items. This sensitivity, in combination with their highly grippy nitrile foam coating, ensures to boost workers' productivity in bad conditions.